Sam Divine is a DJ that knows exactly what to play and when to play it. The hours she spent rifling through vinyl in the warehouse of Chemical Records, where Sam once worked as a house buyer, gives her an insurmountable understanding of the genre. Having played nearly every club in Ibiza – including residencies at Ushuaia, Amnesia and Sankeys – and landed at top-end festivals, there are few who can offer a house music education like Sam Divine. Last year, she racked up over a hundred gigs and is well on track to exceed that in 2017, having already hit up the likes of Europe, North America and Asia. And her reputation for energising a dancefloor has been acknowledged by her inclusion in Pete Tong’s Selector Series for Radio 1.A late starter, Sam took up DJing at 21 – learning to mix in her mum’s garden shed. Her breakthrough came soon after with a DJ competition and landed her first residency at a club in Weston-super-Mare, where she was also the main booker, while also working in record stores. In 2005, after swapping Bristol for Ibiza, Sam became a vital component of San Antonio’s west end (where this year she makes a triumphant return as a resident for Defected at Eden) and has spent every season on the White Isle ever since. During this time, Divine also began working with Defected, who in 2009 signed her to their artist roster. A weekly warm-up at Mambo ensued, opening for legendary names like Kenny Dope and Frankie Knuckles, as well as hosting the weekly Defected Radio show that currently holds the #2 spot on iTunes in the UK Music Podcasts chart. The real turning point, however, came when she played We Are FSTVL in 2013. “I dropped a mix the night before and everyone went mad for it; the tent went from nothing to one-in-one-out within half an hour,” she explains. “After that, the bookings just went nuts.” With her tireless work ethic, this summer, Sam will play Tomorrowland, Eastern Electrics, Defected Croatia, SW4, and Creamfields. This year also marks the 10-year anniversary of La Vita, the annual DJ charity night that she helped to launch and has so far raised £35,000 for Breast Cancer Research. Sam also launched her own label D-Vine Sounds back in 2015, which this year she will showcase with a stage at We Are FSTVL, dates in Ibiza and a boat party at Defected Croatia.Recently, Sam has also begun to flirt with production; her first major release, a remix of garage anthem ‘Flowers’ with production partner Curtis Gabriel, hit #1 on both Traxsource and Beatport. Last year’s ‘Confessions’ was her first release on Defected, while her ‘Sam Divine In The House’ compilation featured further productions and went #1 on iTunes’ Dance chart. This summer she dropped ‘In Da Nation’ EP with Cassimm on DFTD. Sam Divine’s work ethic has seen her more than earn her stripes on the scene. A dedicated army of fans now spreads across the globe as her uplifting house sets captivate audiences everywhere she takes to the booth. With an unwavering love of music and tireless dedication to her craft, Sam is living proof you can achieve pretty much anything you set your mind to – and no one can hold her back. In a time where the meaning of 'house music' is constantly evolving, a new generation of artists and DJs alike are being created. One who has taken this change of direction in his stride and ran with it with style is Jacky.Jacky’s love for music started young when he was growing up in East Africa - It was there his passion for drumming took hold and he came to realise that music was going to be more than just a creative outlet and his sights were set on forging a career in the industry.Fast forward to summer 2017 and Jacky has a whole lot in the pipeline including a string of releases on some of the underground’s hottest imprints. Namely seminal London label DFTD, where he dropped hit EP ‘Sensation’ which took him to the top five on Beatport’s tech house chart. 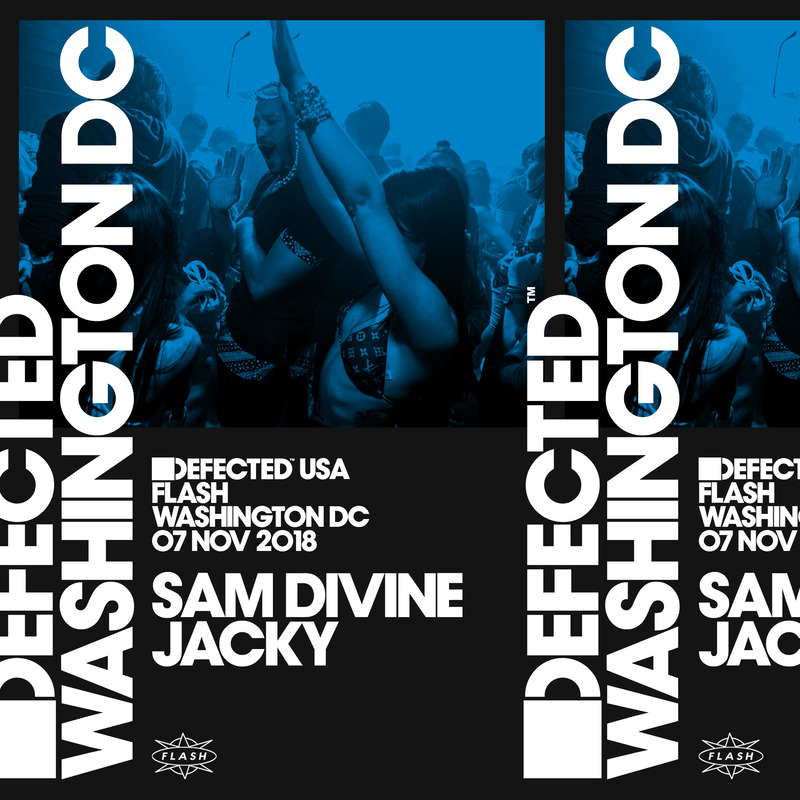 His ties to to the label do not end there though, as he has also secured an Ibiza residency at the now infamous Defected parties, taking over Eden every weekend throughout the summer.Jacky cut his teeth with Barcelona based institution Elrow in 2015 with the release of hit EP ‘Diskotek’, which made a serious impact on dance dancefloors throughout the underground and went on to reach number eight in the Beatport chart - Firmly establishing him as an artist to sit up and take note of.Beyond Elrow, Jacky has made his own mark on the underground club scene with the launch of his own event series – Jacky & Friends. Since breaking ground, J&F events have sold out several of Europe’s key venues including Sankeys MCR, Fire London, Digital Newcastle, Mint Warehouse Leeds, Eden Ibiza’s back room and Benimusa Park where they invaded the Treehouse stage during the legendary Zoo Project events for a string of dates throughout the summer 2017 season.Since signing his first record in the summer of 2014, Jacky has gone on to receive widespread praise from some of the industry’s biggest artists, including Steve Lawler, Skream, Jamie Jones, Marco Carola, Richy Ahmed, Nick Curly, and Santé – All of whom gave full support on his debut releases.The Newcastle born lad also launched his own label ‘Red Lunar Records’ in 2014 with a close friend of his, Richard Heiniger. Now entering their third year of operations, they have featured artists such as Alexis Raphael, De La Swing, Jey Kurmis, Di Chiara Brothers with further growth projected throughout 2017.